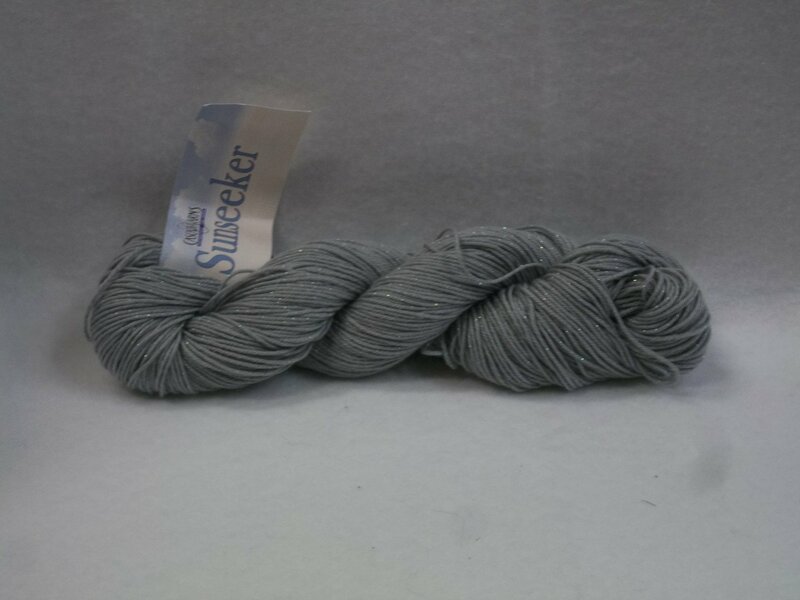 Cotton Blend yarn by Cascade. 47% Cotton/ 48% Acrylic/ 5% Metallic yarn. 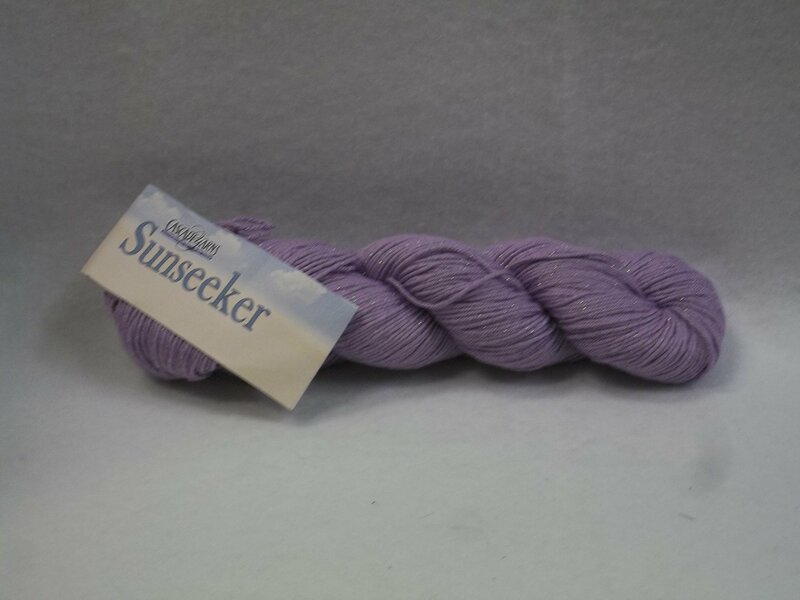 Approximately 237 yards per 100 gram skein. Gauge is 22-24 stitches per 4 inches. Recommended needle size is US 4-5. Machine wash/Tumble dry.